The reasoning given for the publication of the patents was to generally accelerate the electrification of mobility in order to achieve climate protection goals. Starting from now and until the end of 2030, the offered patents can be used by anyone, including other car manufacturers. 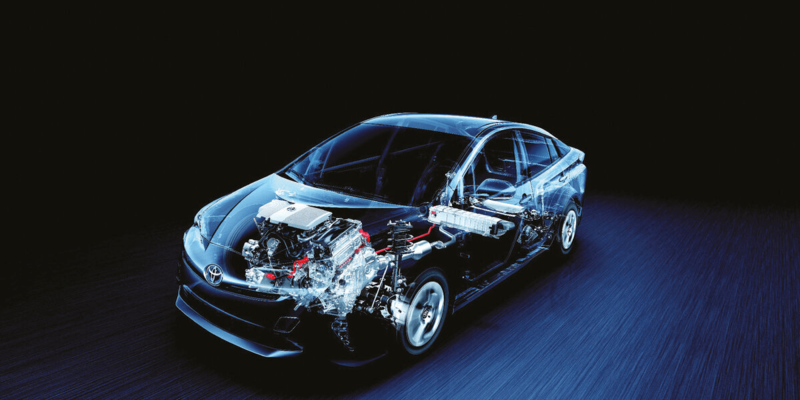 If other vehicle manufacturers choose to use Toyota engines, batteries, control units and other components, Toyota will charge fees for technical support in the development and sale of electrified vehicles. This would involve technologies that would have helped Toyota improve the performance of propulsion technology, reduce its size and reduce costs. “Based on the high volume of inquiries we receive about our vehicle electrification systems from companies that recognize a need to popularize hybrid and other electrified vehicle technologies, we believe that now is the time for cooperation,” said Shigeki Terashi, board member and executive vice president of Toyota Motor Corporation, in a company statement. According to Terashi, the Japanese manufacturer has already received a lot of enquiries from interested companies. Terashi sees the patent sharing as a contribution to mass electrification and climate protection: “If the number of electrified vehicles accelerates significantly in the next 10 years, they will become standard, and we hope to play a role in supporting that process.” Environmentally friendly vehicles can only significantly contribute to the fight against climate change if they are used across the board. This is not the first time that Toyota has released patents. Since January 2015, companies have been able to use around 5,700 Toyota patents to drive fuel cell vehicles. The company is now adding around 2,600 patents for electric motors, 2,000 for control units, 7,600 for system controls, 1,300 axle motor patents, as well as 2,200 patents for chargers and a further 2,400 fuel cell patents. By offering up old patents, Toyota will likely fool a few in Detroit into chasing what Toyota did almost 20 years ago. Run, Detroit….RUN!!! Its a trap!!! Cut your own path….and hurry!! !